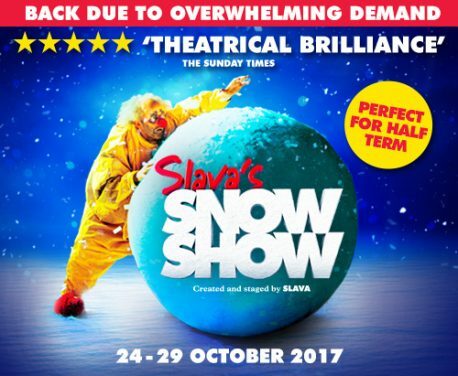 International clowning sensation Slava will bring a blizzard of family entertainment to The Lowry in October. Slava’s SnowShow has scooped awards for the most unique theatrical experience from Time Out, Olivier and Drama Desk. His fun-packed winter wonderland received worldwide acclaim, visiting 80 cities from Moscow to Madrid and Sao Paolo to Shanghai. Russian performance artist Slava Polunin, Artistic Director of the St Petersburg Circus, is the man behind the big red nose: he recently came to the UK to launch his illustrated memoir Alchemy of Snowness. This will be the ninth time this sell-out show has been performed in the UK. Want to treat your family? We have four tickets to give away to one lucky Wire reader. All you need to do is sign up to our mailing list in the top right hand corner of our home page, then send an email headed ‘SnowShow competition’ including your name, age and Twitter handle to competitions [at] manchesterwire [dot] co [dot] uk. This competition closes at midnight on Friday 20 October. Winners will be notified via Twitter and email the following day.